Selling your home involves a complicated set of decisions. Well, it’s just about to get trickier thanks to a grudge match between estate agents, reported in this week’s Sunday Times. In January a new online portal will be launched called On the Market. Founded by reputable national estate agents including Savills, Knight Frank, Chestertons and others it has been created to break up the duopoly created by Rightmove and Zoopla. Not only that but OntheMarket has also banned on-line agents. This affordable online option for selling your home has been growing in popularity in recent years, fuelled most recently by programmes like How to Sell Your Home with Sarah Beeny. Finally, OntheMarket will not include any additional features such as valuation tools that estimate the price of homes by neighbourhood for instance – essential tools that help buyers and sellers make informed decisions. 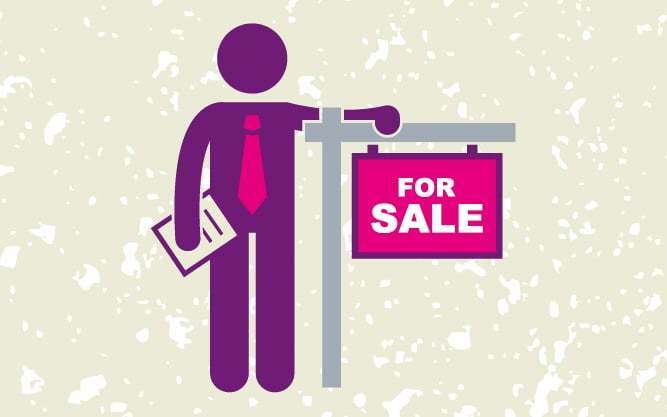 We advise that homeowners looking to sell their home from January choose their estate agent very carefully: most importantly look at the contract for unfair terms, and ask questions about how and where they will be marketing your home. Sellers who want to achieve the best possible price in the quickest possible time will want their home to have the widest exposure online. will you be marketing my house through OntheMarket? who else will you be using: Rightmove or Zoopla? And then decide if you are content with whichever mix of portals they are using. As a guide, the Sunday Times reported that Rightmove has 1.2m and Zoopla 1m homes listed. OntheMarket predicts “hundreds of thousands”. So in the short term at least, you’ll want to find an agent who still lists with Rightmove AND Zoopla if you can. Our comparison table shows you which online agents do but you’ll have to check with individual high street agents. Things may change over time as OntheMarket builds up listings and brand awareness. It may also help to know that some property insiders think Zoopla are predominantly used by buyers to search for London properties, while Rightmove is used more outside the capital. 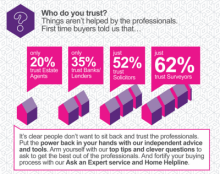 Time to improve Estate Agents’ image? OntheMarket could still come to the rescue of homesellers and buyers and improve the reputation of estate agents across the board. It’s not too late to amend their operating policy to give homeowners more choice. – Give consumers real choice and allow online agents in on the party.